Giclee print on Hahnemuele German etching paper of original drawing in coloured and lead pencil. A4 size including border, signed, edition 1 of 20. 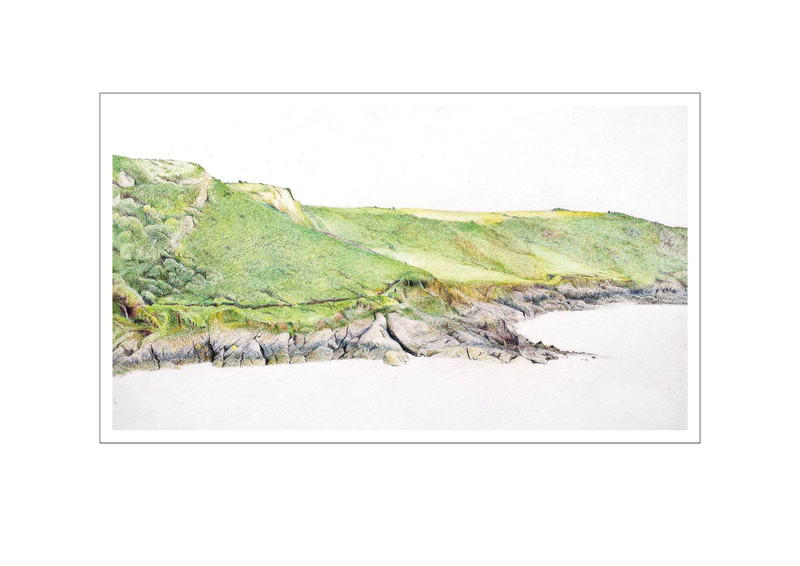 A naturalistic drawing, in coloured and lead pencil of the same place that gave rise to the carving \'Coast\' and the painting \'Changing Light Over Caswell Bay\', so the three works compare the same subject portrayed by a different approach.